Contact the Driver and Vehicle Licensing Agency (DVLA) today on 0300 790 6802, for vehicle tax enquiries. The DVLA are a UK Government agency with a wide array of responsibilities ranging from collecting vehicle taxes, keeping a database of drivers and vehicles, and recording assisting police by recording driver endorsements on driving licenses. As a company with a diverse workload responsibilities are divided between departments each with seperate contact details. This page can be considered a brief overview of some of the main telephone contact details for these departments. We have also provided individual pages for each of the departments of the DLVA. The DVLA operate two main telephone lines that field calls with regards to vehicle tax. The first, an automated line, provides options to tax your vehicle , apply for a Statutory Off Road Notification (SORN), use the Welsh language for your call, and also has options for many other general enquiries. Their general enquiries number is the number for you if you would like to speak to a customer service representative over the phone. Call this number for vehicle tax enquiries or general information and guidelines on vehicle tax. It is a legal requirement that you contact the DVLA to register your V5C vehicle registration certificate – also known as a log book – within 6 weeks of purchasing a new vehicle. All vehicle registration enquiries can be directed to one phone number, which is listed below. If you have a current medical condition or a disability that may impair your ability to drive then you should contact the DVLA by phone to declare it and find out if you qualify for assistance and support. In fact on the DVLA website there is a huge A-Z list of conditions and disabilities that you must report to the DVLA if you suffer from one of them. These conditions include the physical such as arthritis and cystic fibrosis to the mental and emotional, for example anorexia nervosa and anxiety. Check the DVLA website for the full list. If you have already been disqualified from driving due to a medical condition that you feel you have recovered from then you can also contact the DVLA by telephone to find out if you are able to drive again. If you have already sent off your documents to reapply for a driving license then you can contact the Drivers Medical Group by phone, to check on the progress of your application. Check the progress of your application to drive again. 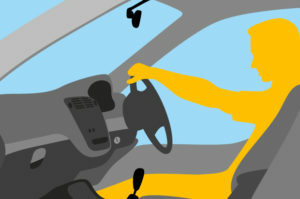 Driving license information can be checked by employers or hire companies if they have the permission of the driver. To find out more information you can contact the DVLA on the telephone number listed below. This service is also provided by the DVA, the DVLAs equivalent in Northern Ireland. The equivalent of the DVLA in Northern Ireland is DVANI which stands for Driver & Vehicle Agency Northern Ireland. Contact them on 0300 200 7861 to book a driving test, apply for a license or for enquiries about road safety.